Size: 8 x 6 in. Your Dream in Natural Diamond & Tanzanite. The new classic Halo fashion or Engagement Ring. 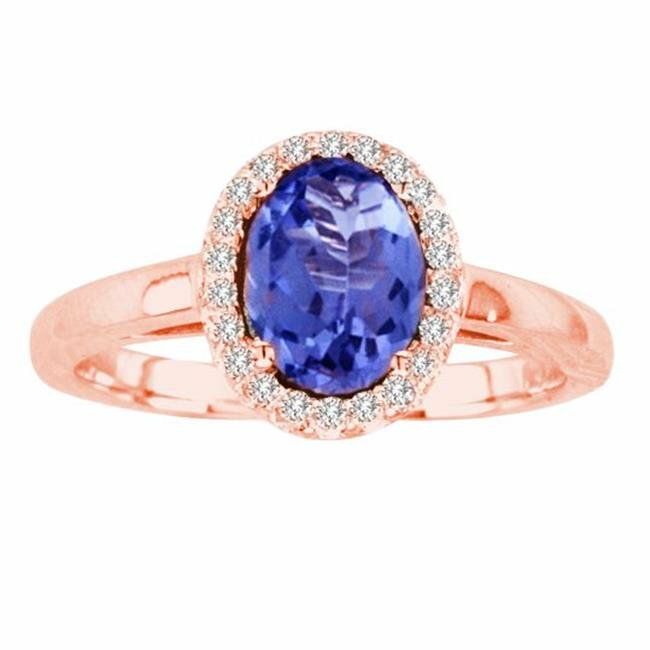 Hand matched G-VS2 diamonds surround our fabulous 8x6 oval Tanzanite. Made in NYC, USA by our local craftsmen. Stones are set in 14k Rose gold .